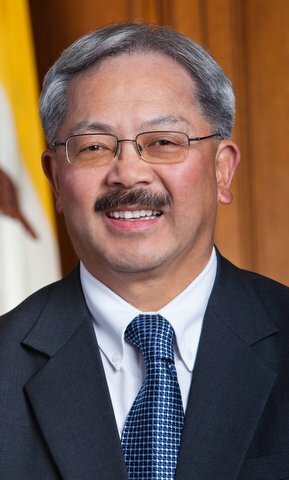 All of us who knew San Francisco Mayor Edwin Lee and his work are profoundly saddened by his untimely passing at age 65 early yesterday. For decades, Mayor Lee was a steadfast champion for women’s equality, gender justice, and civil rights. In 2017, he won one of the first Guys Who Get It Awards, an honor bestowed by our own Institute for Women’s Leadership. Implement online implicit bias training and sexual harassment training for city and county employees, and require in-person implicit bias training for all San Francisco Police Department staff. Continue to prioritize funding for the prevention and intervention of violence against women and invest $11.8 million to provide 31,000 additional hours of support services annually to women survivors of violence. Mayor Lee was passionate about supporting the advancement of women in the city and in county government. In fact, as of 2017, 58% of San Francisco’s government workforce was female, and women held many top offices, such as City Administrator, Fire Chief, Port Director, directors of the Department of Emergency Management, Department of the Environment, Department of Human Resources, and many more. Mayor Lee also supported and helped shepherd paid parental leave practices, and increased minimum wage and support for female entrepreneurs. He worked in partnership with the Women’s Foundation of California and the Women’s Initiative in its mission to further the advancement and impact of women’s leadership. “His commitment to ensuring paid family leave for all City employees and investments in high quality, affordable child care can mean only one thing – Mayor Lee was a feminist,” said Surina Khan, CEO, the Women’s Foundation of California.